This work at height & harness course is required to do, or supervise working at height and involves using the necessary height safety equipment to do this work safely. If you are looking for a basic understanding to better appreciate the activity to control the process safely, then this course is also for you. Safe and unsafe working practices for MEWPS (mobile elevated work platforms) and suspended platforms, roofs, ladders, personal protective equipment, scaffold and mobile access towers. There will be a short written assessment at the end of the Working at Height training course. You will receive an approved supplier certificate after successful completion. 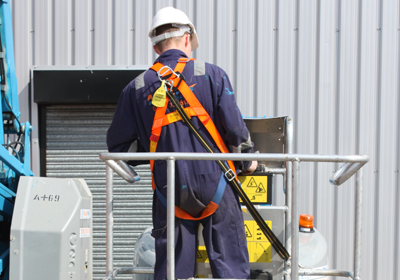 Any personnel who are involved in working at height and using the necessary height safety equipment. 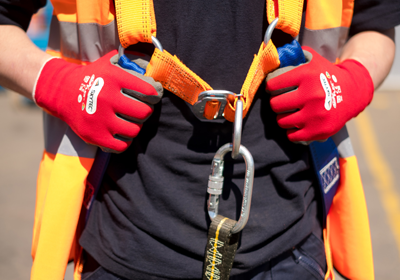 No formal qualifications or experience is necessary for the working at height training course. Will I get a working at height certificate? Yes, an approved supplier certificate will be issued on completion of this course. Who is the work at height course suitable for? If your job requires you to work at height, and involves you using the necessary height safety equipment to do this work safely, then this is the course for you. Yes, you need to bring your PPE with you (harness, suitable head & foot protection) for the practical session of the training course. If I don’t have a safety harness would it be provided? If you don’t have a harness you can purchase one prior to attending your training. Please contact our team at TrainingPlus.com on 0845 872 3411 for more information. Is previous experience required to attend this course? No previous experience is necessary. But it would be envisaged that you will have a good working knowledge of the Work at Height Regulations and Health and Safety at Work Act 1974.